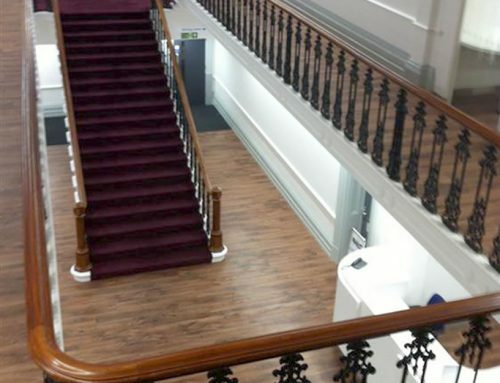 Following successful recent projects for Sheffield Hallam University, we’re delighted to have been involved in Phase 1 of a scheme of works at the Owen Building located on Arundel Gate in the city. 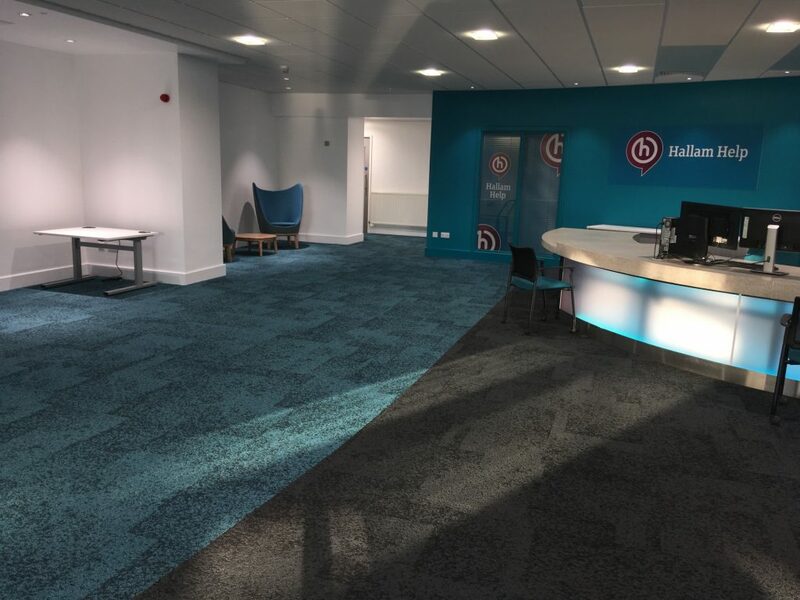 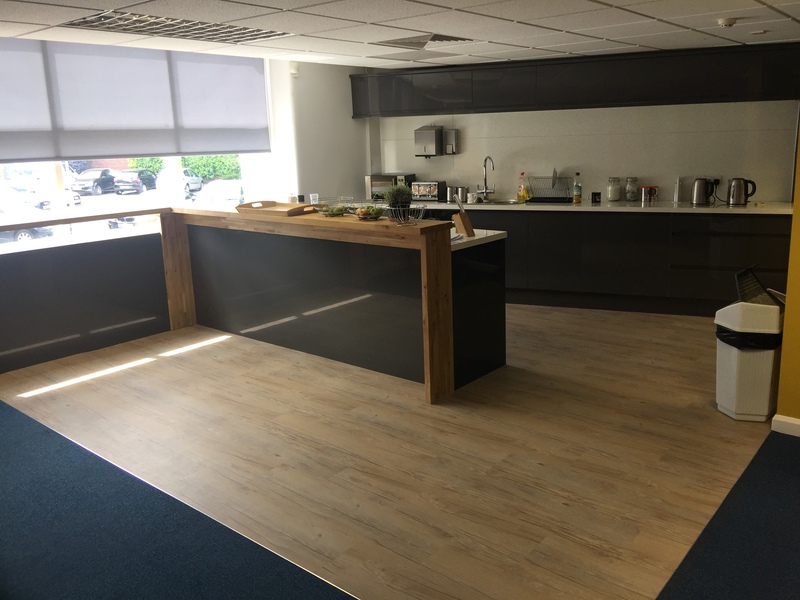 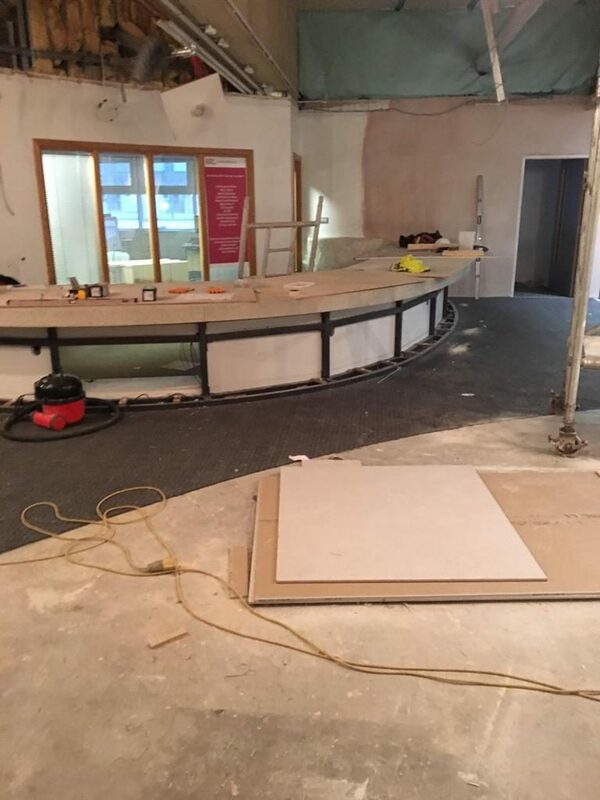 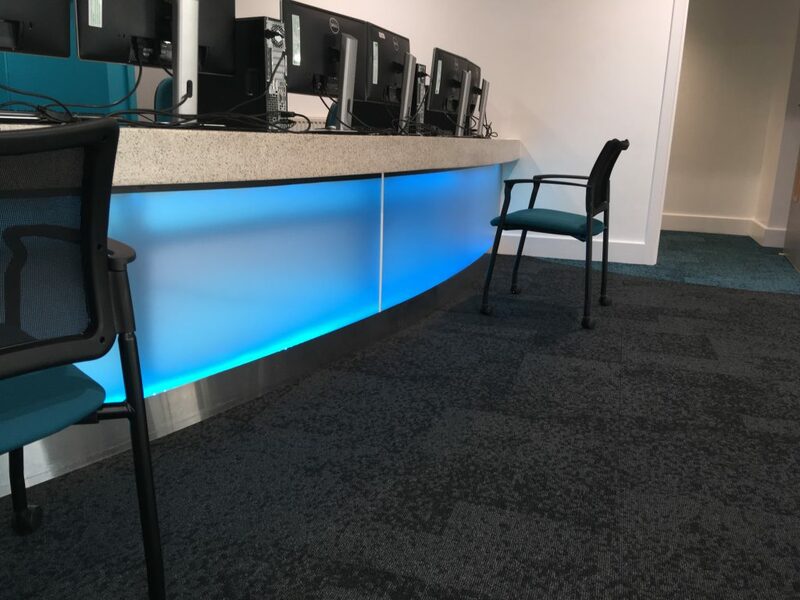 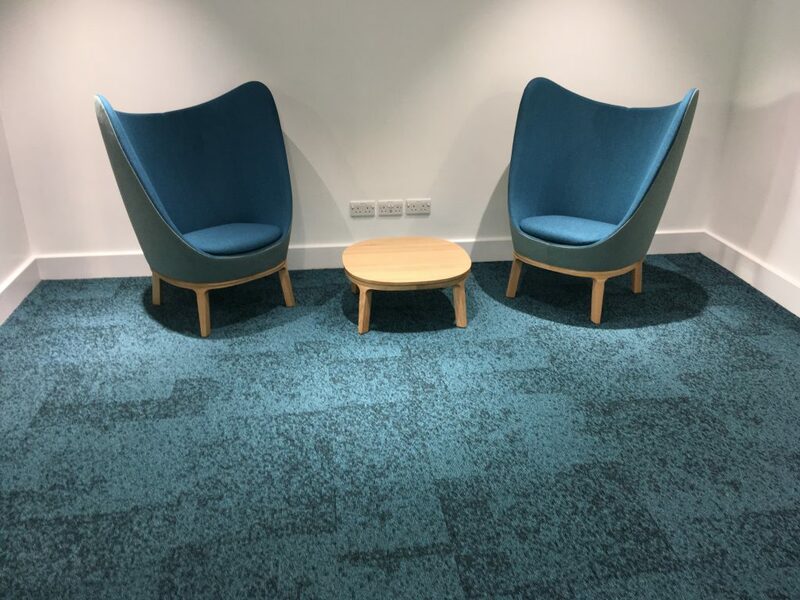 Commissioned by main contractor, NRC Services, we were tasked with installing new flooring in the ‘Hallam Help’ reception area of the Owen Building. 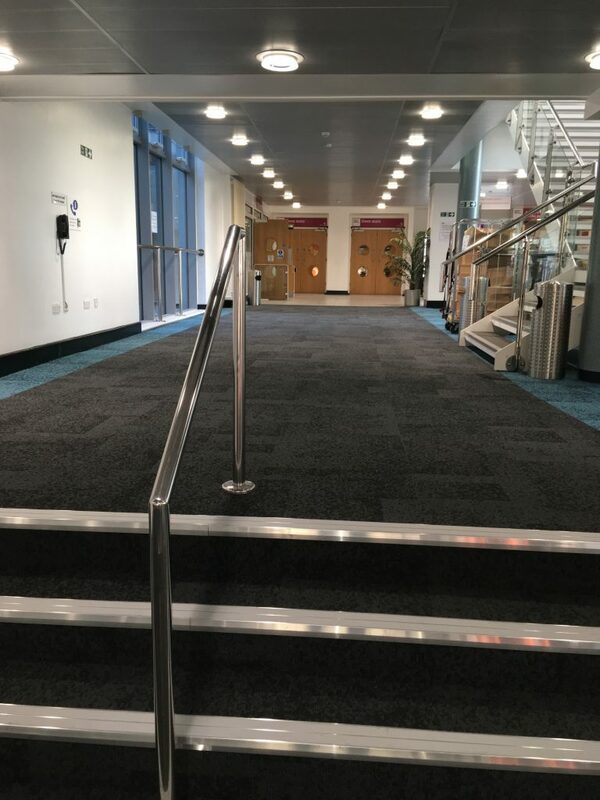 The space sees hundreds of students and visitors entering the building on a daily basis, so the new flooring had to be both fit for heavy footfall as well as easy to clean and maintain. 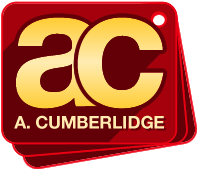 Explains Damian Bradley, project manager for A Cumberlidge: “As the site is so busy, we had to deliver this project ‘out of hours’ so we commenced work at 4pm once the building was closed. 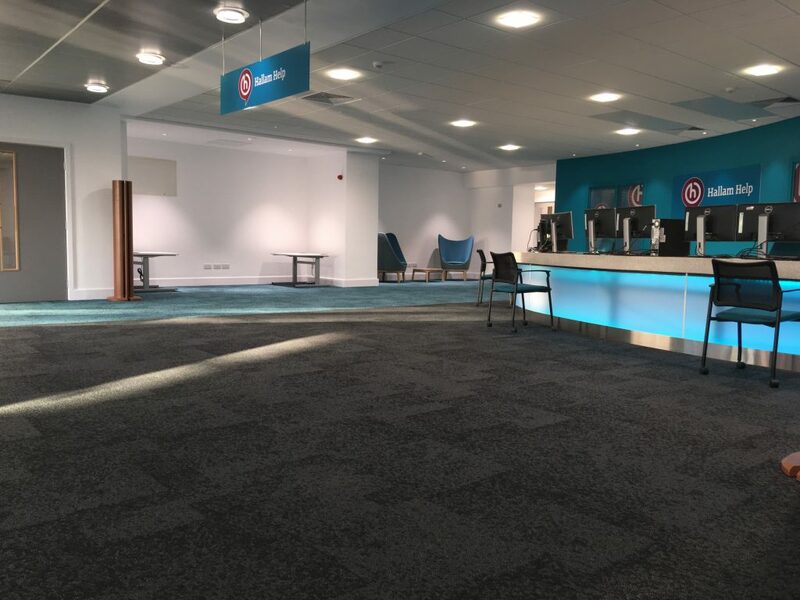 “The team began by uplifting and removing the existing floor tiles, plus we were asked to set aside any full tiles for future re-use within the building. 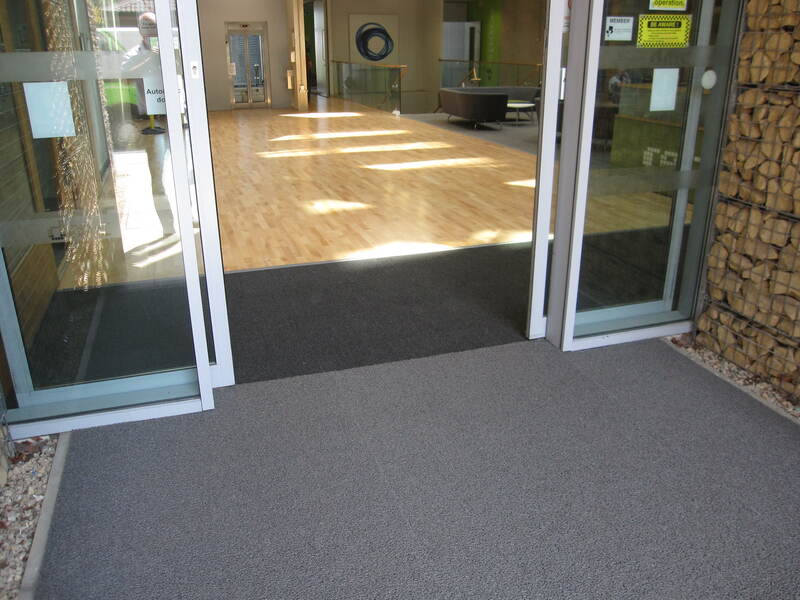 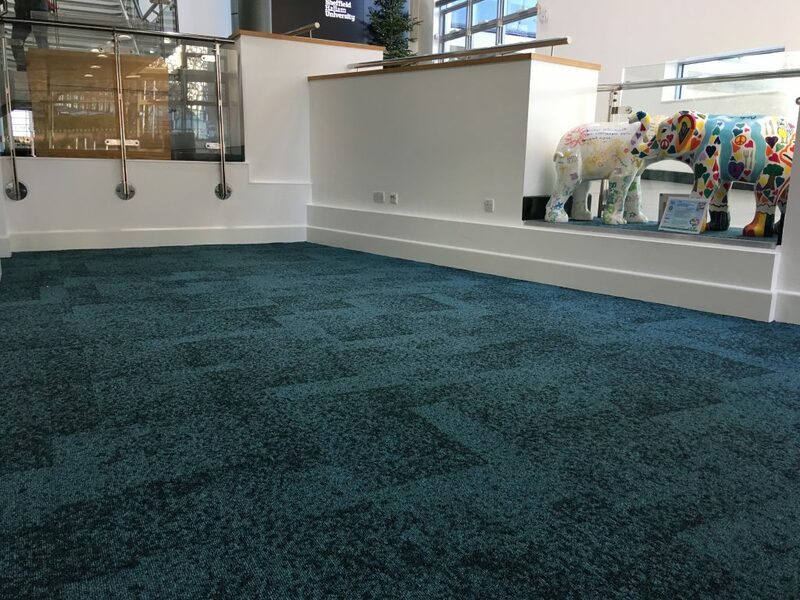 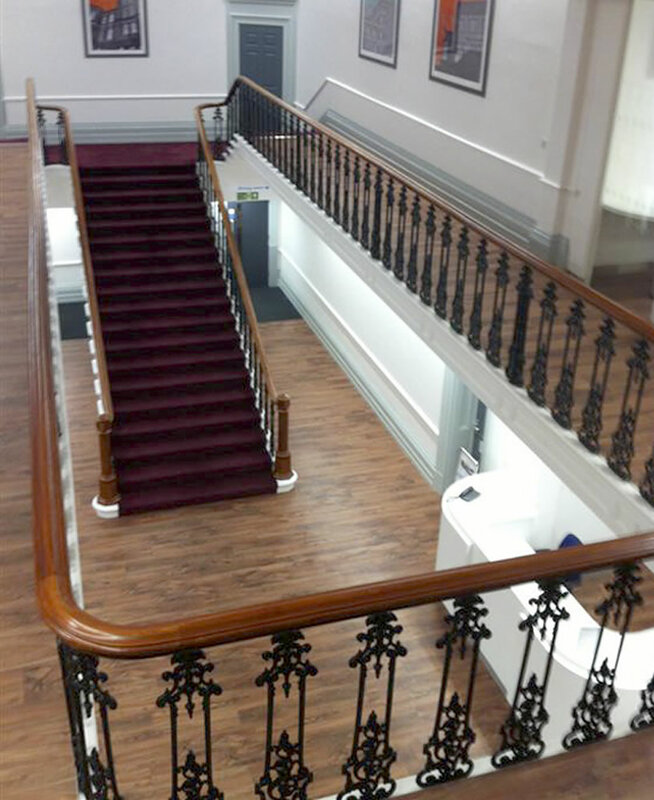 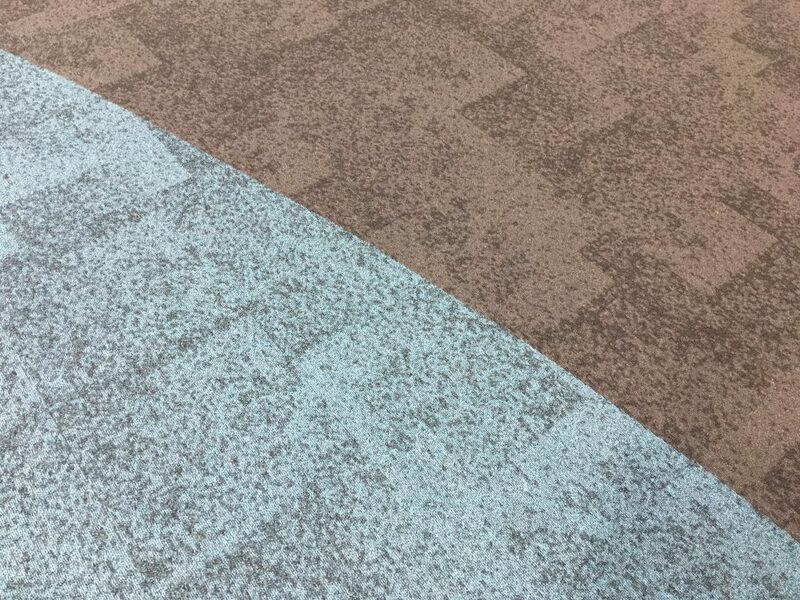 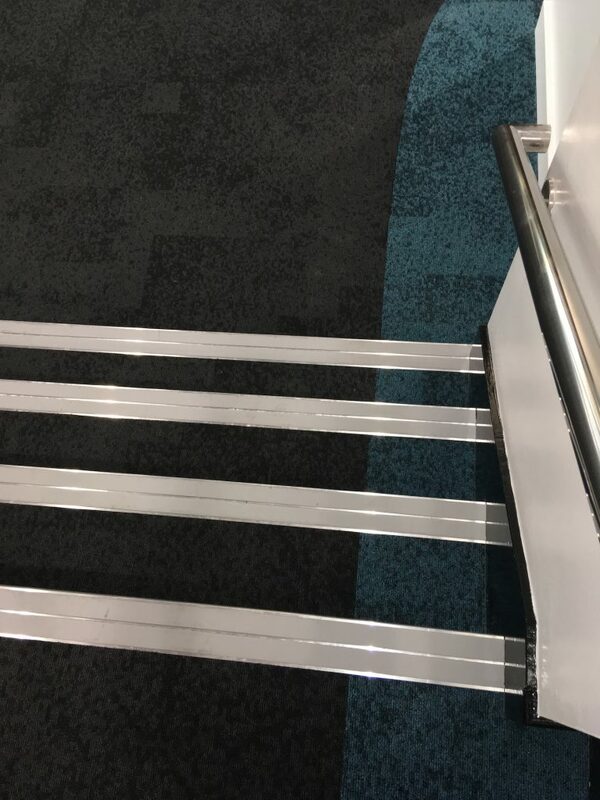 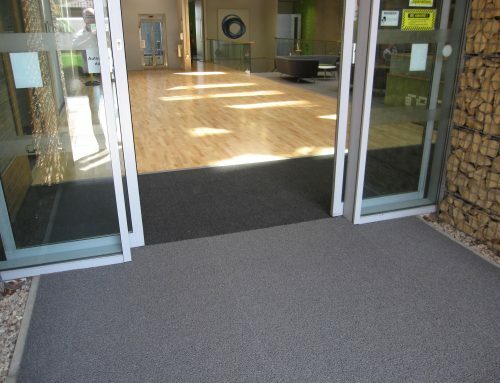 Continues Damian: “We laid 300m2of the Burmatex Rainfall carpet tiles in two different contrasting colours –Dark and Air – to create a path effect to direct footfall to the Helpdesk and up the stairs to the next level.